When I was 17 years old, I took my first international trip without my family to Japan. At the time I was playing soccer for a university and we were headed there to tour around the country, teaching children to play soccer. I was captivated by Japan’s very different culture from mine, so much so that it inspired me to go back this year with my husband. The first time I went, there was a frustration of not being able to connect with the locals I met because of a language barrier. I couldn’t share what I thought or even ask for simple things. This is why on my second trip back I was determined to change that. I was going to learn Japanese so I could connect with the locals in a way I couldn’t before. Language has always been a core part of my life. Growing up with a French mother, I was introduced to a foreign language at a young age. I’ve always been appreciative of the opportunity to learn a new language. Traveling to France through my teenage years and into my adulthood, I looked forward to any opportunity to practice. It started with small phrases, like how to order, then grew into more complicated scenarios, like sharing stories. Language, for me, has been a crucial part of my life and something I encourage others to pursue. Partnering with Rosetta Stone this past spring, I embarked on a journey to learn Japanese with its software. I was headed to Japan this September, and wanted to have a basic conversation skills before I went. 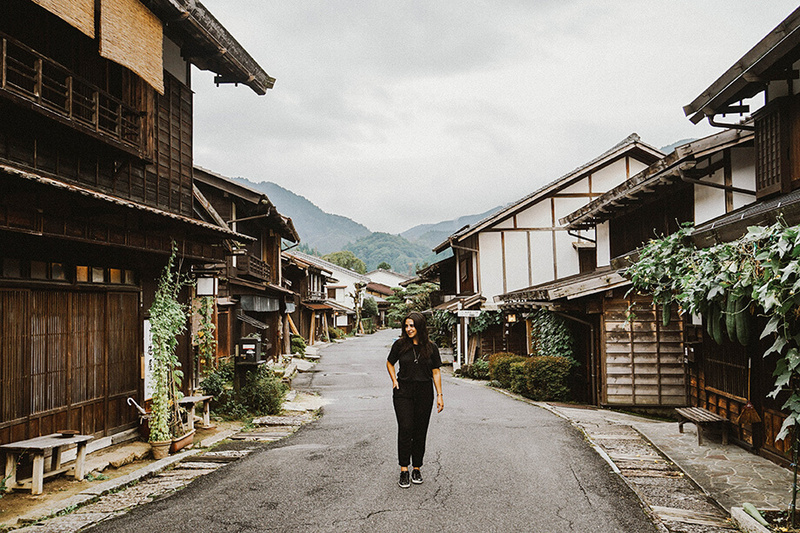 My hope was to be able to communicate with the Japanese so I could dive deeper into their culture, learn their way of life, and be able to connect. Over the past few months of using the resources that Rosetta Stone has to offer, I came to really enjoy going through the lessons. Each afternoon, I attempted to be diligent in doing an hour and a half of lessons, averaging around one unit per week. There are 12 units in total, and I loved how diverse each one is, from “Home and Health” to “Dining and Vacation.” I focused my efforts on understanding the grammar and growing a vocabulary that would be most useful while I would be traveling. Throughout the units, I was able to learn things like how to order at a restaurant, how to ask for directions, and basic conversational skills. Each lesson builds up from basics like grammar, numbers, verbs, and nouns to full sentences. As the units were completed, it felt easier to grasp Japanese with practice. Access to lessons across two platforms, both desktop and a mobile app, made it really easy to keep up with studying. With the speech-recognition engine called TruAccent®, I was able to develop my accent over time. When you speak into your microphone it will let you know if it is correct. 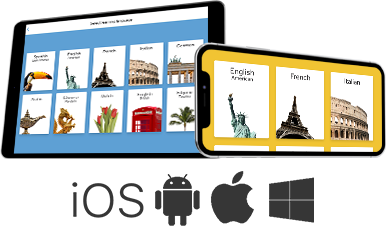 Plus, while working on the road, Rosetta Stone’s mobile app helped me stay on track with my lessons. It was time to finally put what I had learned to practice. There is an evident difference in practicing and learning Japanese from the safety of my home and then using it in person. Walking into the trip, I had my anxieties around using the language. I think the biggest factor that helped me speak confidently (even when the accent or pronunciation was off) was the months of practice. With Rosetta Stone, the activities that repeated phrases and words were imprinted on my mind, making it easier to find the words I was looking for in the heat of a moment. During the trip, one thing I found with using the Japanese I had learned was the reaction from the locals. Most were completely surprised that I knew enough to have a conversation. When a server asked if I wanted coffee or tea, I had the appropriate response. It was second nature by that point to know when to say please or thank you, to ask a local directions to a train station, or to greet a new person. One moment that stood out for me in Japan was during an opportunity I had to be dressed in a traditional kimono in Kyoto. A local came to help dress me and over the process of an hour we engaged in small conversation. At the end, I wanted to thank her for her time and help. Most would say “arigatou” as it’s the general way of saying thank you, however more correct would be the past tense, “arigatou gozaimashita.” I responded with “arigatou gozaimashita” and the look on her face is something I’ll never forget. This moment only deepened my passion for meeting the Japanese in their language and culture. My first trip to Japan was void of connection and the opportunity to communicate was something I couldn’t do before. Without the lessons on Rosetta Stone, I would not have been able to do it. I am excited to continue my lessons in Japanese, taking on the challenge to learn this foreign language for the next time I will get to use it.